DATE OF BIRTH: March 1, 1914 – Lucknow – Counties of Bruce & Huron – Ontario. BROTHERS: Mr. Gordon & George Finlayson – Localsh – Ontario. Captain Alan Finlayson – overseas with Canadians Forces. SISTERS: Mrs. Mary MacDonald – Ripley, Ontario. Miss Jean Finlayson and Miss Sarabelle Finlayson – Toronto - Ontario. CEMETERY: Temporary Canadian Military Cemetery – Bedburg – Germany. ENLISTMENT AGE: 26 years 7 months. ENLISTMENT: July 28, 1941 – Toronto – Ontario – into Canadian Active Service Force. ENLISTMENT AGE: 27 years 4 months. Rod received his primary education at the Localsh school and graduated from Grade 8 before moving on to complete 4 years of high school in Wingham. He then went on to study at the University of Toronto for two years. He then attended Normal School in Stratford for one year and earned his First Class Public School Teaching Certificate. Upon completing his education, he was employed as a Public School teacher near his family home for 3 years and then was with the York Township Board of Education for 5 years at Rowlinson School. Rod enjoyed hunting, golfing, tennis, skating, volleyball and playing 3rd base in baseball. July 28, 1941 – to No. 2 District Depot with the rank of Cadet; Canadian Armoured Corps “D” Wing. August 1, 1941 – to Canadian Army Training Centre for Officer Training Course in Brockville – Ontario. August 1, 1941 – appointed to rank of Acting Sergeant. August 31, 1941 – to A 8 Officer Training Course at Brockville – Ontario. 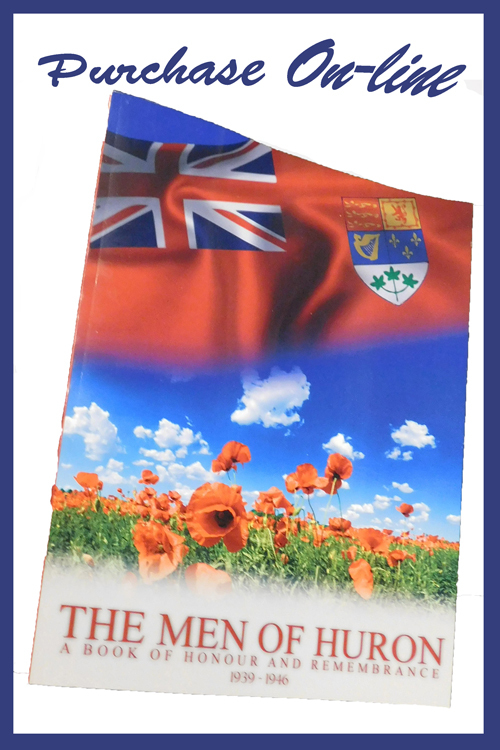 November 2, 1941 – to A 9 Officer Training Course at Camp Borden – Ontario. January 31, 1942 – granted leave until February 14, 1942. October 24, 1942 – while at Officer Training appointed to rank of 2nd Lieutenant. 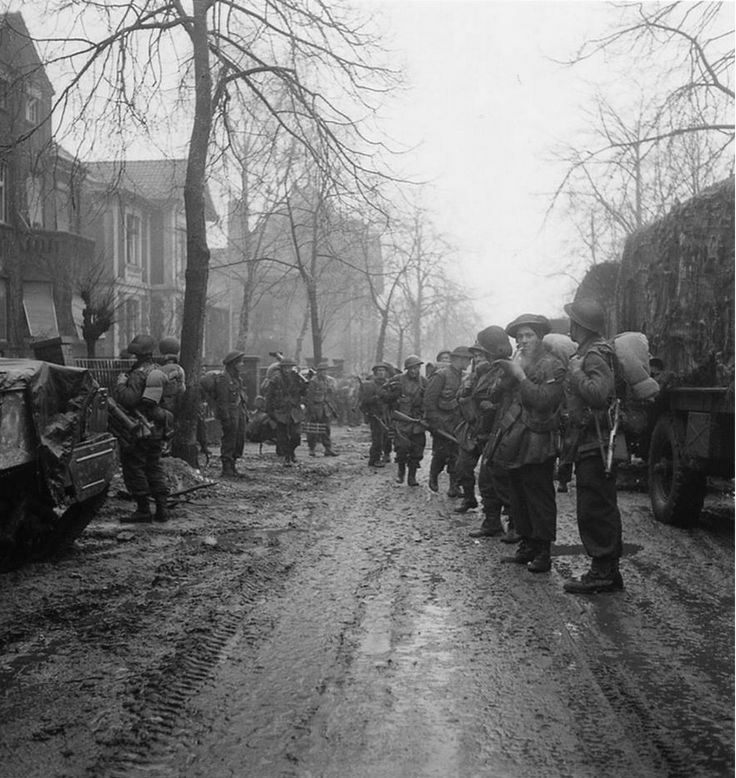 March 3, 1942 – transferred to Canadian Grenadier Guards (22nd Armoured Regiment) at Debert – Nova Scotia. March 3, 1942 – appointed to the rank of Lieutenant. March 10, 1942 -granted embarkation leave prior to going overseas. 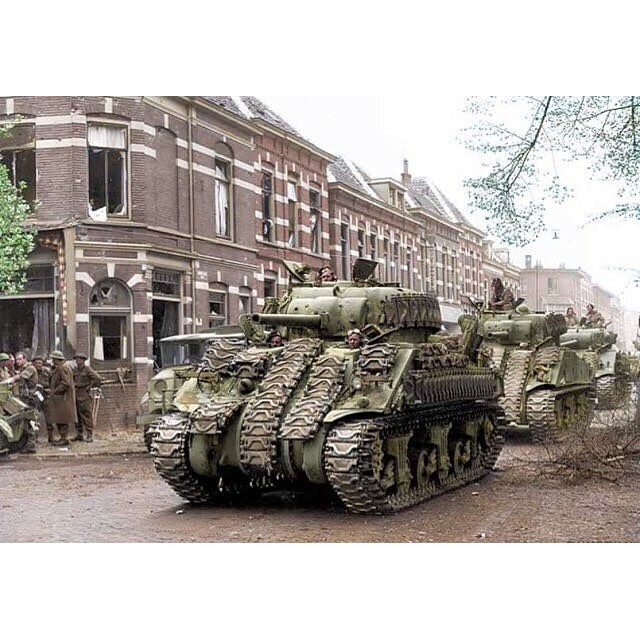 April 26, 1942 – Taken on Strength with Canadian Armoured Corps in the United Kingdom. 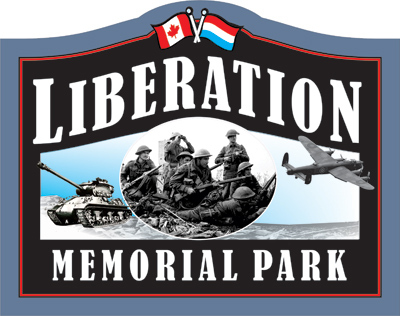 May 2, 1942 – Embarked from Canadian shores bound for the United Kingdom. May 12, 1942 – Arrived overseas. a) While attending these courses it was found that he had good knowledge of the mechanics of wheeled vehicles, good knowledge of the Norton Motorcycle, good knowledge of the Universal Carrier and good knowledge of the RAM tank. b) His driving ability of wheeled vehicles was good, average on the Norton motorcycle, good on the Universal carrier and average on the RAM tank. c) He spent 8 hours driving wheeled vehicles, 9 hours on the Norton motorcycle, 6 hours on the Universal carrier and 10 hours driving the RAM tank. d) Following these courses, he was classified as P1. The Armoured Corps felt he would be a first class Instructor and that he was very capable of carrying our instructing without supervision. December 1, 1943 – completed Course. January 29, 1944 – completed Gunner School. July 23, 1944 – Embarked from United Kingdom for continent. the Falaise from August 7 - 22, 1944; the Falaise Road from August 7 – 9, 1944; the Laison from August 14 – 17, 1944; the Cambois from August 18 – 22, 1944; the Battle of the Scheldt from October 1 – November 8, 1944; the Lower Mass from October 20 – November 7, 1944; the Rhineland from February 8 – March 10, 1945; the Hochwald from February 24 – March 4, 1945 and then Veen from March 6 – 10, 1945. 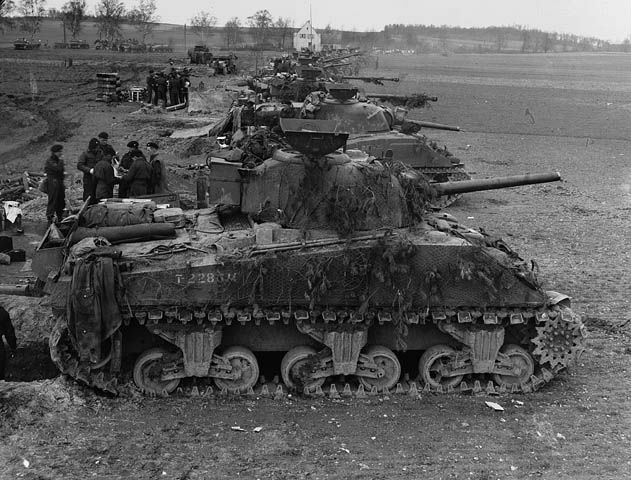 At 7:20 am the 75mm tanks formed up in preparation for the move into Germany. They followed the Diamond route to Cleve and then along the Club route to the Dispersal Point. The 17 pounder tanks departed at 10.20 am and they passed the Dispersal Point at noon and the whole Regiment then moved to the cone area south of Cleve, They were now positioned on the West bank of the River Rhine across from Emmerich. The Regiment then spent their afternoon digging in as they were expected a high amount of enemy artillery fire in their sector. It was believed the enemy had four artillery concentration within range. These guns were 5.5 anti-aircraft guns, 4’ guns, 6’ field guns and 7” medium guns. During the night of March 25, 1945 an enemy plane strafed the area and four butterfly bombs were dropped. There were no casualties. The weather was warm, clear and there was good visibility. During the evening of March 26, 1945, the enemy began shelling the area and one shell directly into a slit trench that was occupied by Lieutenant Finlayson and two other ranks. They were killed instantly. The Commanding Officer stated that Lieutenant Finlayson will be missed as he had been with the Regiment through France, Belgium, Holland and into Germany. He also stated that Lieutenant Finlayson was one of the best Troop Commanders in the Regiment. The weather was clear, warm with good visibility. It is believed the Executor of his estate was his brother Gordon Finlayson who was on the family farm at Localsh – Ontario. His brother Malcolm was to receive his Award Medals. His last pay amounted to $600.97. 1 housewife, 1 “I” disc, a golf ball, 1 lanyard, 1 razor in case, 1 anti-gas hood, 1 bayonet frog, 2 web ammo pouches and 2 web binocular cases.